Hi. I am an associate professor at the Department of Mechanical Engineering, The University of Melbourne. 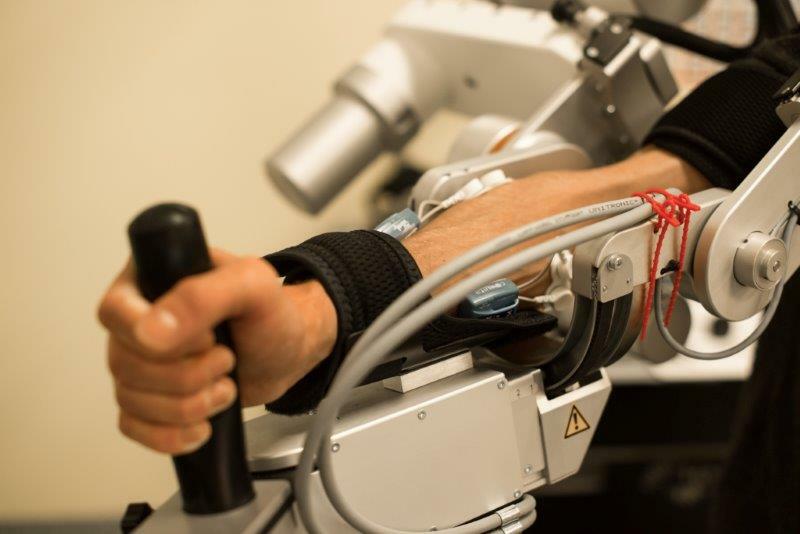 I run the Melbourne Robotics Laboratory, with research interests in the area of kinematics and dynamics of robotics mechanisms (its modelling, analysis and manipulation) and their applications primarily in biomedical and clinical tasks. The lab also still carries out work in other areas of application, such as advanced automation. Please feel free to look at the Project tab of this webpage to get an idea of the projects we currently have running. I am also currently deputy head (Engagement) of the Department of Mechanical Engineering and assistant dean (Communications) at the Melbourne School of Engineering. S-H. Zhou, J Fong, V Crocher, Y Tan, D Oetomo, I Mareels, Learning Control in Robot-assisted Rehabilitation of Motor Skills, Journal of Control and Decision, vol 3 issue 1, pp19-43, 2016. It is published as an open access paper available from the publisher here. misc Conducted the Back to the Future Master Class with Professor Angela Ndalianis with public screening of the movie at HOYTS Cinema, Melbourne Central, celebrating the arrival of the character Marty McFly to the 'future', 21 October 2015. Venue: Level 3 Mechanical Engineering Seminar Room, Room E311, Building 170.
media: Radio interview on Mornings with Steve Martin ABC774, 6 January 2015.
misc (Dec 2014) We are awarded the Collier Charitable Funds (category: Public Educational Purposes in Australia) to expand the RoboCup Junior Victoria competition to allow more schools to participate . Project title: RoboCup Junior Victoria: Raising Engineering Awareness and Interests in Engineering Career among Young Australians. media: Channel 9 National News on our Rehabilitation Robotics work with the Royal Melbourne Hospital , 11 Nov 2014.
conference: The Australasian Conference on Robotics and Automation is to be held at the University of Melbourne this year, 2-4 Dec 2014.
media: Time to stop droning on about robots stealing our jobs by Harrison Polites, Business Spectator, 18 July 2014. The article featured some of my moderate views on how to best move forward in the world of technology today, ie. using technology (including robotics) to improve our quality, safety, productivity; and not take the unhealthy doom-and-gloom attitude of fearing technology. Older and other items of activities are archived here.